It is so great to kick off a new year with a fresh clean slate. 2018 has gone and we can start anew. For some of us it means striving for academic achievement. For some, it means mending relationships. For others, it means getting healthy. And, for another, it may be seeking spiritual renewal – the list goes on. Regardless of whatever we seek for in 2019, it is so important to start off on a solid foundation in order to pave a path to success. To create a solid foundation as a believer, we must first repent. Jesus’s first preaching urged us to “repent, for the Kingdom of God is near.” Matthew 4:17. Eugene Peterson eloquently states, repentance is “the No we say to the world’s lie and the Yes we say to God’s truth.” He goes on to say, “Repentance is not an emotion but it is a decision.” The starting place of repentance is PRAYER. Christians are called to pray; it is one of the greatest and most powerful tools that God gifted to us, but we tend to pay such little attention to prayer. I pray that my beloved GMMA family members would become mighty prayer warriors and experience the strength of prayer. “I tell you the truth, if you have faith and do not doubt, not only can you do what was done to the fig tree, but also you can say to this mountain, go throw yourself into the sea and it will be done. If you believe, you will receive whatever you ask for in prayer.” Matthew 21: 21-22. What an amazing promise from the Lord, but how little faith we have about the true power of prayer. We do not believe that He holds the answers to our prayers. This is because we listen to the lies of this world rather than the truth of God. We need to cast off our disbelief and center our daily life around prayer and spend time with God. Let’s kick off 2019 with a new year’s resolution to “pray in all circumstances.” With this promise, I am certain the Lord will shine His light on our path. But most importantly, we can enjoy His peace in our hearts no matter what highs and lows life throws at us. The joy of the Lord will be with us, grounding us to this life’s firm foundation. Dear GMMA family, let us humbly come before him. Let us give Him everything, our present and our future, and His peace and presence will be with us. I pray this will be an awesome new year for you, your family, your friends and the ministry of GMMA. Have a blessed and fruitful new year!! From January 2-6th, God sent all 5 Texas chapters along with Evergreen church, a local church in Austin, to Zaragoza, Mexico and has done great things on the mission trip. 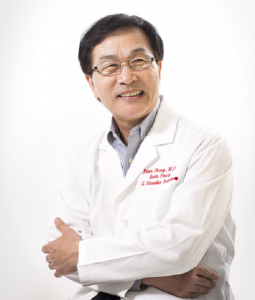 Dr. Yong Sik Kim led the team of 5 medical professionals, 7 adult volunteers, and 47 students from U of T Austin, U of T Dallas, Texas A&M, U of Houston and Rice University. The team went to Zaragoza and Morellos for two days each and Allende for a half day. At each location, the team set up a clinic to provide medical services, evangelize, and ran VBS activities. 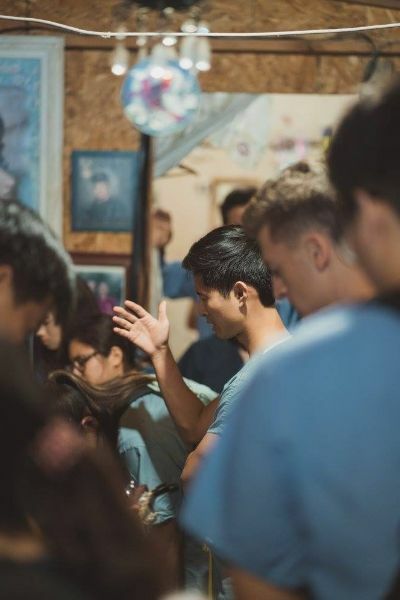 They witnessed many people coming to Christ for the first time, including a member on the mission team. With the team supported by River Ministry and Ranchos Dos Countries, God used them in many ways to expand His kingdom. West Coast region has been implementing local outreach in the month of December. Thanks to the Christmas season, each chapter has been reaching out to their local communities to share the love of Jesus Christ. In addition to the local outreach, students and professionals from UC Davis, UC Berkeley, and University of Pacific went to Tijuana and Ensenada, Mexico to share the gospel! The twelve chapter presidents have been meeting in small groups to pray for other chapters, encourage one another, and discuss the future of GMMA. The Texas GMMA region went to Zaragoza, Mexico from January 2-6th. This mission trip was the biggest team that Texas had so far. We had 54 students on the trip, so we had to split up into two different locations everyday. But God did something amazing during the trip. One of our students, Janki, accepted Jesus as her Lord and Savior and got baptized. Three other students rededicated their lives to Christ. During the week we had more than 20 people accept Jesus as their Lord and Savior. All glory goes to God. Please pray for Janki that her faith may grow stronger. Also please pray that as we start our new semester each chapter will be able to focus on our goal of glorifying God. GMMA on the east coast has seen God’s goodness in 2018. From bringing up new chapters such as Binghamton and the University of Georgia, making existing chapters more widely known on their campus, to transforming student lives on mission trips, God has truly used the GMMA ministry to make His glory known. God has opened doors abroad to share the Gospel, sending a team of 60 students from the University of Florida and the University of Virginia to Honduras last March; He has also made a way for GMMA chapters to make an impact in their own communities. 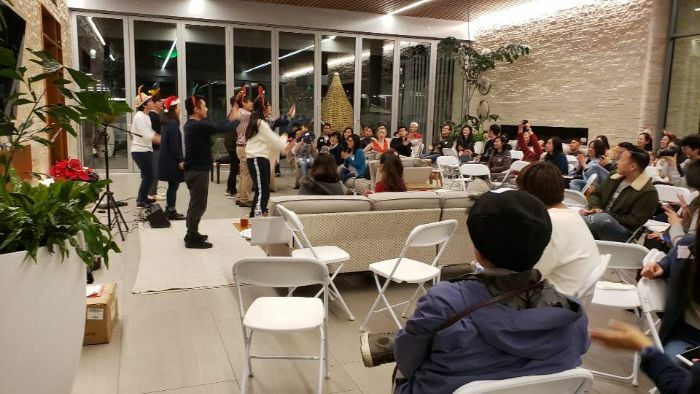 Some local outreach student chapters have participated in include helping build homes with Habitat for Humanity, setting up fundraising galas for local organizations that promote youth health and character development, feeding the homeless, Operation Christmas Child, and much more. Everyone here on the east coast appreciate your constant prayers and love; we are no stranger to your tremendous support that always feels so near. Please continue to pray for the east coast as a handful of schools still do not have mission dates. Your east coast GMMA family is expectant for God to move in mighty ways in 2019 and hope you are too! 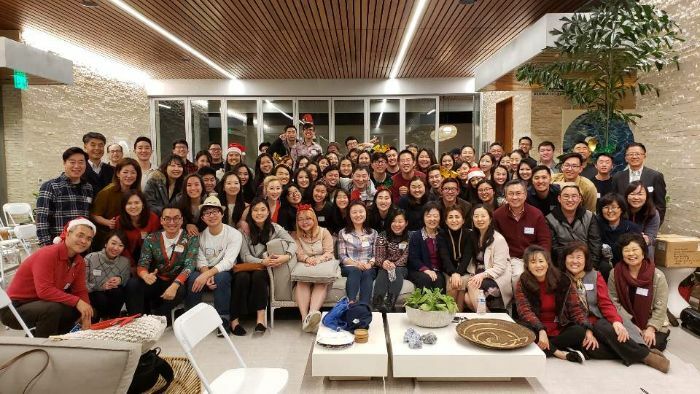 GMMA at Western University in December was struggling with unity and love for one another. With exam stress piling up and busy schedules not aligning, members and officers became sensitive and struggled with praying for each other. However, we organized and participated in a joint retreat with U of T/Ryerson chapter at the end of December. This retreat was helpful in personal spiritual rejuvenation and a refreshed sense of togetherness not only within our chapter, but with the UofT/Ryerson chapter as well. As we got to know fellow GMMA brothers and sisters, played with them, prayed with them, learned with them, and ate with them, we began to understand more about unity and how to care for each other. 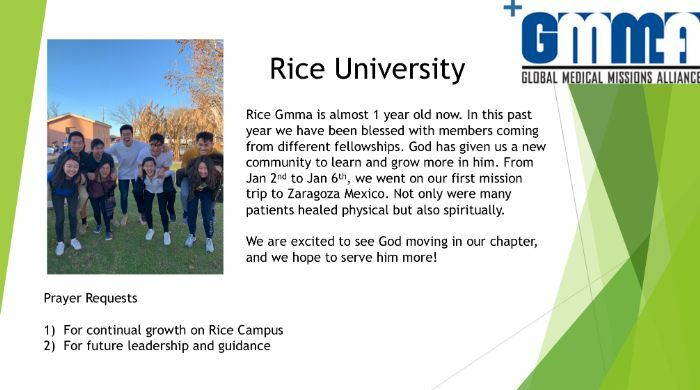 We are excited to head on into the new semester of GMMA as one team. One prayer request is for continued passion and unity within our GMMA officer team but also reaching outward to our members and to possible new members. Toronto chapter in December 2018 had a time of bonding and getting to know each other better throughout the planning/preparing for the retreat and during the retreat. Although it was a busy season for all of us with exams, we were able to support each other by simple, yet encouraging katalk messages in the chat, and also by having everyone trying to do more work so that others don’t have to, especially amongst our officers. We had struggles in preparing for the retreat in terms of ride arrangements and other details for sure, but also were blessed with generous donors from our mentor and GMMA alumni for delicious food and support prayers! We are excited to see changes in the interactions among us, not just within our chapter but with Western U chapter, in the new semester with the new connections we made during December. As we start out the new year, we take a moment to reflect and thank the Lord for His faithfulness to GMMA family in 2018. We also thank GMMA post-grad, Matthew Pak, for making a short summary video on it. * Meet monthly to praise and pray together, and celebrate together at many meetings. * Coordinate and Go to medical mission trips every month. * Help GMMA campus chapters to register and start the journey of living a missional life. * Guide new mentors to serve campus chapters and experience medical missions. * Establish more partnerships with local churches and medical mission organizations. * Granting us to support many medical missionaries and mission projects. * Encourage the growth of GMMA post-grad and professional’s quarterly meeting. * Plan and execute the 2018 Global Medical Missions Conference that brought students and healthcare professionals from all over the world. We lift up the year 2019 to the giver of life, our Savior Jesus Christ as He is the center of this ministry. May His good and perfect will be done through us. Pray about becoming a mentor to our campus chapters or serving as a speaker at the biweekly general meetings held at over forty campuses. There are many opportunities to learn and connect, through conferences and seminars provided by our medical mission partners. Check in on our GMMA facebook page for updates and information. Please pray for the ministry to stay faithful and strong.